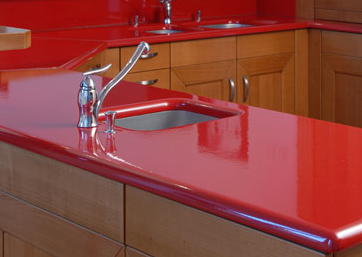 Forget marble and granite…if you want luxury, you want enameled lava, the most expensive countertop in the world. Materials are extracted from the Nugere crater at the heart of Auvergne’s volcanoes in France. The extremely resistant blocks are extracted by hand from open-air quarry. They are then cut into slabs, processed and glazed. 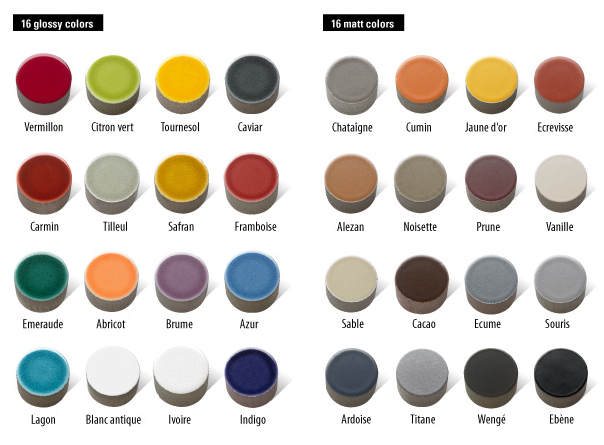 The countertops are glazed with either a glossy or matte finish, and come in a range of 32 colors. Not only is it luxurious, it requires little to no maintenance. Cost…$375 a square foot, just like some NYC apartments. You can purchase this extravagance from Pyrolave. I couldn’t imagine that countertop in the citron vert! Eek! It could pass in an expensive retro 60′s diner, if that.